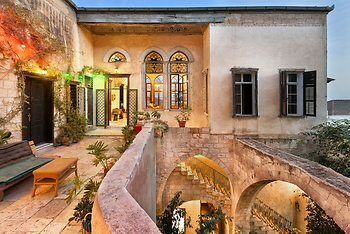 Hotel Fauzi Azar by Abraham Hostels, Nazareth, Israel - Lowest Rate Guaranteed! A stay at Fauzi Azar by Abraham Hostels places you in the heart of Nazareth, steps from Jezreel Valley and 3 minutes by foot from Synagogue Church of Nazareth. This hotel is 0.6 mi (1 km) from Greek Orthodox Church of the Annunciation and 0.7 mi (1.2 km) from Mary's Well.